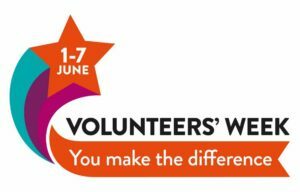 Volunteers’ Week 2017 – You make the Difference! Are you a volunteer with a story to tell? Have you made a difference? Why not take part in our Volunteers’ Week Competition? There will be three winners whose entries will be featured on the Volunteer Essex website during Volunteers’ Week 2017 (1st to 7th June). In addition the author of each winning story will receive a Marks and Spencer’s Gift Card to the value of £20. If you prefer you can print the form, complete it by hand and return it to your local Volunteer Centre. You can find details of your local Volunteer Centre Here. The deadline for entries is Wednesday 24th May 2017.